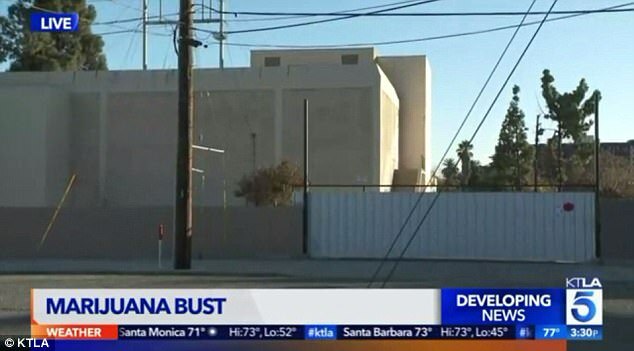 Home Amazing PICTURED: Drugs 'Queenpin' behind multi-million dollar weed 'fortress' is busted 'netting a fortune and using it to fund lavish lifestyle' as a respected mom in upscale California neighborhood . PICTURED: Drugs 'Queenpin' behind multi-million dollar weed 'fortress' is busted 'netting a fortune and using it to fund lavish lifestyle' as a respected mom in upscale California neighborhood . 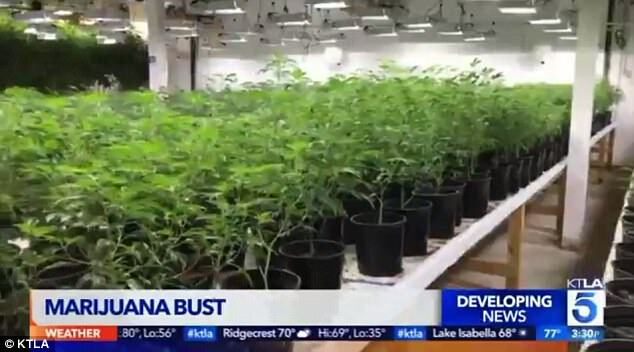 A mother from an upscale California neighborhood is being questioned by authorities for a pot growing operation that included over 24,000 plants. San Bernardino police raided properties belonging to alleged drug queen-pin, Stephanie Smith, 43, Wednesday, after detectives investigated a tip about pot being grown in an empty warehouse. When they raided the property they realized they were dealing with a multi-building operation, with the main warehouse likened to a 'weed fortress.' 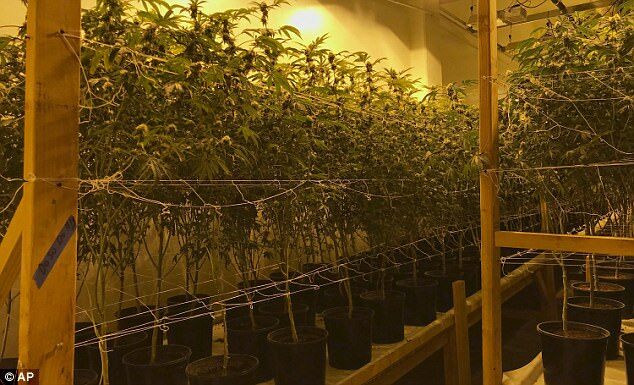 Cops believe the marijuana growing operation was netting millions of dollars-a-month in profit. Investigators first turned their sights on the illegal grow operation about two months ago after receiving complaints from neighbors. They became increasingly interested in the property when the main building, an 'empty' warehouse, had an electric bill that was about $67,000 per month. They found the once-abandoned warehouse had been outfitted with a 12-foot metal rolling fence, 'fortified doors,' a large concrete wall around the parking lot and surveillance cameras. 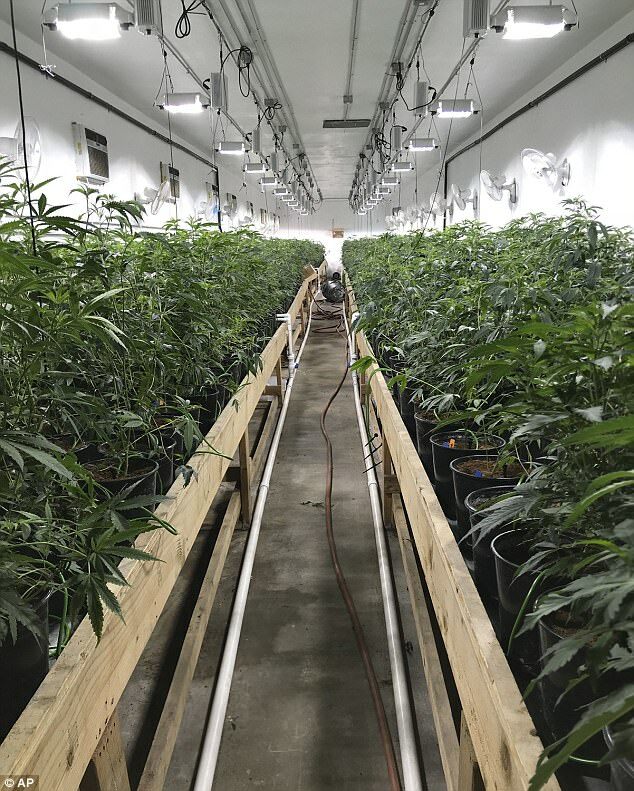 Inside the four-story warehouse, police found thousands of plants stacked next to one another under heat lamps on wood tables and an advanced irrigation system. Police and federal investigators raided three properties owned by Smith of Pacific Palisades, and seized 18,000 pounds of marijuana in total. Eight people who were working in the warehouse in downtown San Bernardino were detained by police, but no charges have been filed in the case, Madden said. Investigators are still trying to determine where the marijuana was being sold, Madden said. Police were investigating the 43-year-old mother and owner of the properties, but she was not arrested or charged with a crime. California voters have approved the legalization of marijuana, but growers must receive licenses and permits from local governments and the state. Recreational pot sales start in California on Jan. 1, joining the long-running medical cannabis industry. A red 'Unsafe' sign has since been placed on the building. Smith was reportedly questioned Tuesday, but was not arrested. If charges are filed, she faces a misdemeanor, jail time and a fine at the state level.